Summer holidays are almost here, and that means sunny brunch cocktails are on the menu. Host a stylish festive brunch this merry season and include some of these sunshine-laden drinks to make it a festivity of fun and yum! This cocktail is full of whimsy, class and tropical flair. The recipe yields 10 servings. Be sure to follow the instructions carefully to get the desired layering colour effect. Pour 30ml of Midori into each glass. 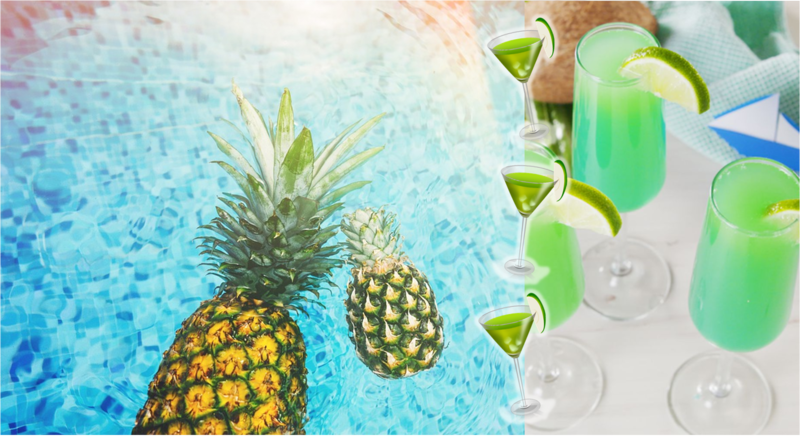 Fill each glass ⅓ full with pineapple juice, then top with bubbly. 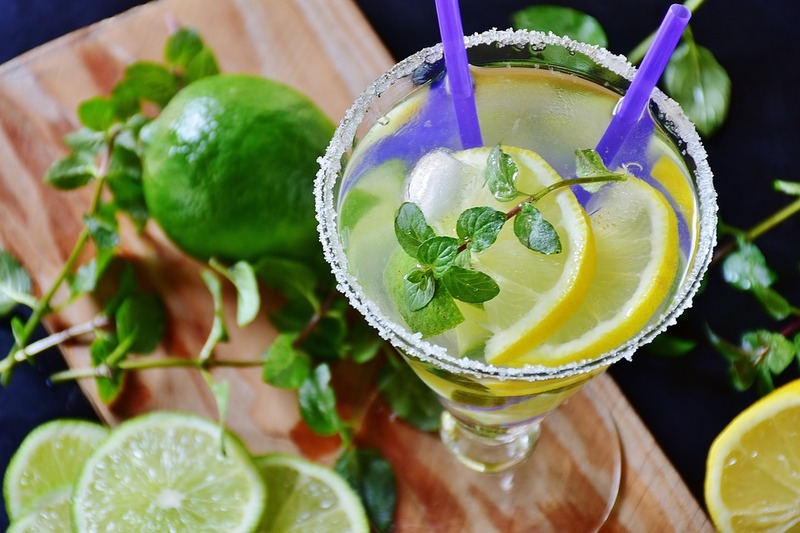 Finish with 30ml of blue Curaçao, garnish with a lime wedge, and serve. Strawberries are in season, sweet and juicy as ever. The recipe yields 4 servings and is the perfect accompaniment for a summer brunch or picnic. Rim 4 glasses with the lemon wedge, then dip in sugar. 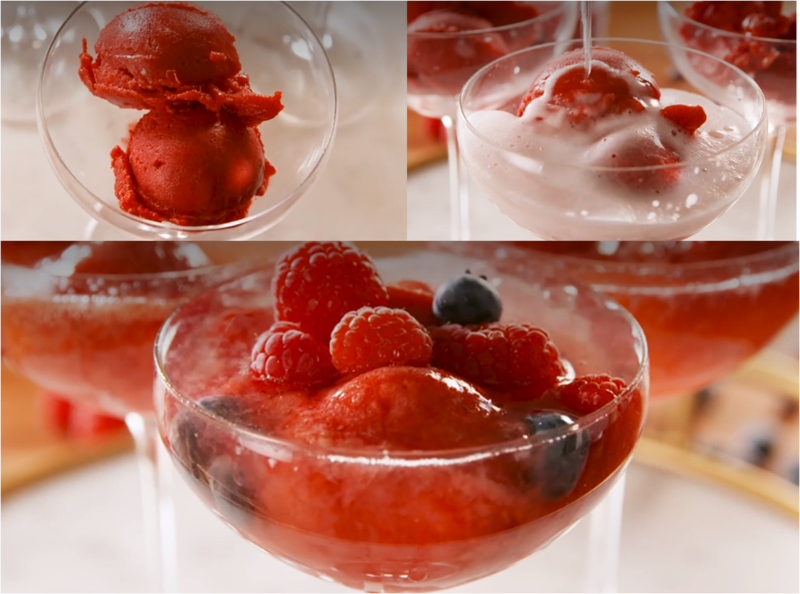 Place a small scoop of sorbet in each glass, then top with Chambord, sparkling rose, and a few fresh raspberries. This sparkling punch, with its aromatic mixture of sage, lemon, and ginger, is great for any time of day. With a little pizzazz, this one will spice up any festive party. 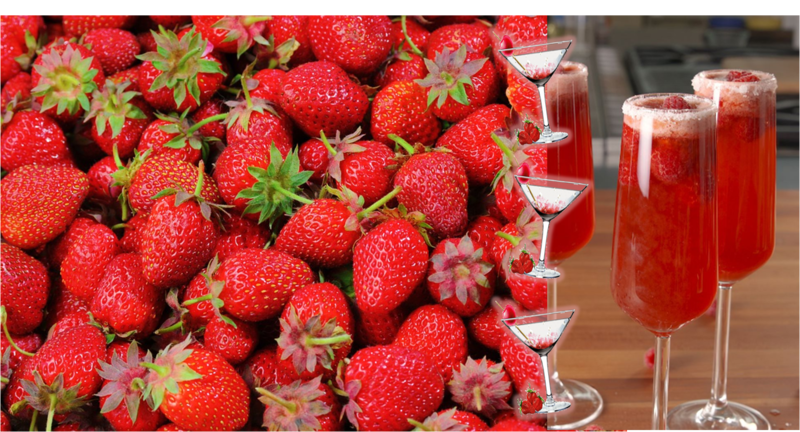 In true punch style, the mixture can be served in a self-service punch bowl and yields 20 servings. Cut lemon and sage into pieces small enough to fit into ice-trays. Once divided into 2-3 trays cover with cold water and freeze to set overnight. Just before serving transfer the ice cubes to punch bowl. Pour in sparkling water and wine and stir gently. Dessert or brunch? We’re not sure but we’re suckers for rosé anything as soon as summer hits. This delicious recipe yields 4 serves…but you may want to stock up on extra as we promise this one will be a hit! Scoop sorbet into glasses and pour over vodka and sparkling rosé.